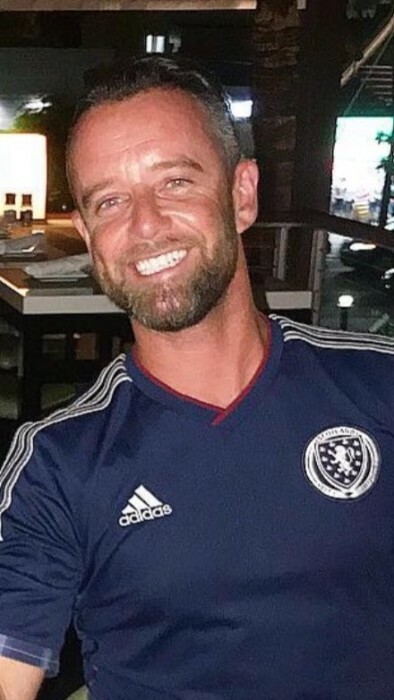 Obituary for Paul McColm | C. R. Strunk Funeral Home, Inc.
Paul “Wully” McColm, 33, of Bradenton, Florida passed away on September 2, 2018. He was the son of William J. and Elizabeth (Borthwick) McColm. Paul was born in Edinburgh, Scotland and moved to the United States when he was 6 years old. Paul grew up in Quakertown, Pennsylvania and after high school he moved to Florida. Paul was a jeweler at Coffrin Jewelers in Sarasota, Florida. Paul was an avid sports fan who could usually be seen wearing a Philadelphia Eagles shirt, a Penn State shirt, or a Glasgow Rangers jersey. Paul's smile was contagious and he made friends with everyone. Paul loved to watch all of his favorite sports teams at Old School Bar and Grill and spend time with friends. In addition to his parents Paul is survived by his sister Lee, paternal Grandfather William J. McColm, several aunts and uncles, many cousins and so many friends. Memorial Services will be held on Monday, September 10, 2018 at 11:00 A.M. in the C. R. Strunk Funeral Home, Inc. (www.crstrunk.com) 821 W. Broad St. Quakertown, PA 18951. Call 10:00-11:00 A.M. in the funeral home.